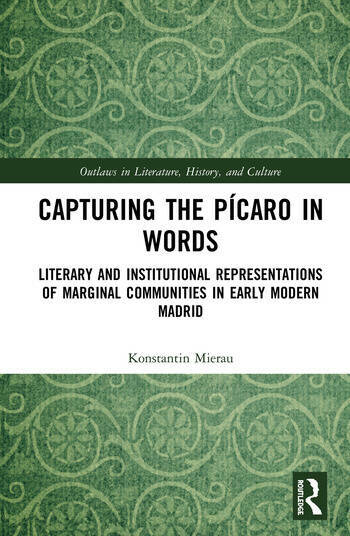 Capturing the Pícaro in Words discusses the framing of the transient marginals of early modern Madrid in the literary pícaro. It compares the perceptions of constables, shopkeepers, and criminals, to those of mass-produced literary representations, and argues that the literary representations "displaced" the pícaro, assigning the marginals different places in the literary texts in order to centralise the problem of urban vagrancy. The texts "spanished" the pícaro, thus establishing the image of a culturally homogenous group; and lastly, "silenced" the pícaro, under-representing the power marginals in the city derived from their knowledge of the information flows in the city. Konstantin Mierau is tenured lecturer for European Culture and Literature (Spanish), at the department of European Languages and Cultures of the University of Groningen.